Jeff Glucker August 10, 2016 Comment Now! The idea of owning a tank is both endlessly appealing and incredibly daunting. You have images of a massive beast rolling on tracks; a vehicle that requires all hands on deck to operate in a safe manner. 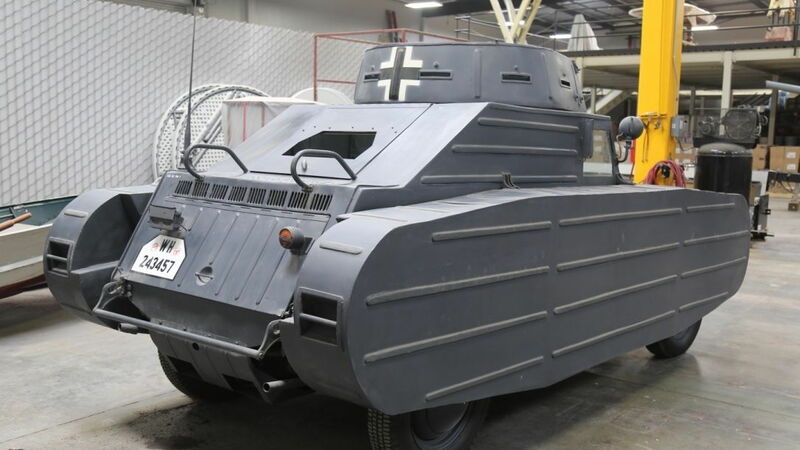 What if there was an easier sort of tank out there for you to park in your driveway? The folks at Bring A Trailer have found just that. 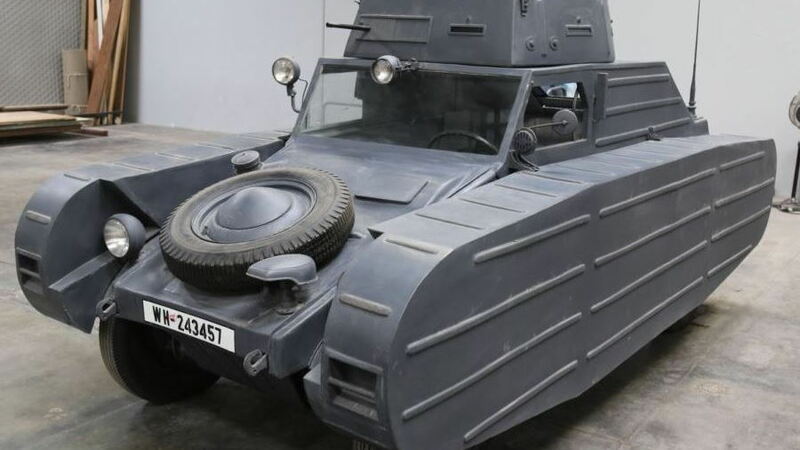 We're calling it a Porsche tank, but what you're really looking at here is a Volkswagen Kubelwagen that's been upfitted as a Type 82/3 variant. 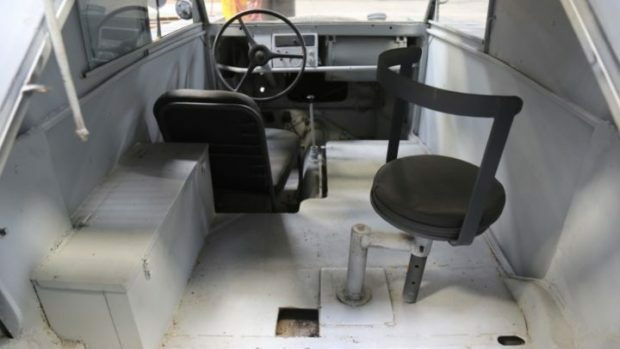 The Kubelwagen was essentially Germany's Jeep during World War II, and it was designed by Ferdinand Porsche with help from a number of other builders and companies. Under the skin is a chassis very much related to that of the Beetle. The Kubelwagen had larger requirements placed on it, however, so it was stripped of weight and strengthened. It was no longer a Beetle, but became instead the Type 82. It's a tub car, which is exactly what Kubelwagen means. There were a number of variants, but the one here is the Type 82/3 or 823. 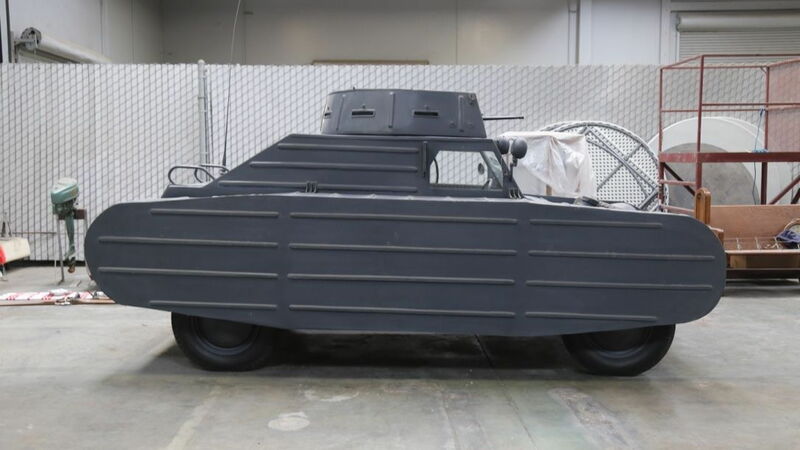 It's a baby tank, and this one is listed for sale on eBay. It's currently sitting with a high bid of $20,000 (at the time of this writing) with nary a reserve in sight. There's plenty of time left to get a bid in too, and put a tank in your driveway. Well... if you want to have a crappy, non-running tank parked outside to "impress" your neighbors. We're pretty sure this should just go to a museum or a true collector of all things World War II.